The Beauty Scoop! : Holiday Hair Care! Protecting your skin in the sun is something most of us do automatically by now, but what about your hair? How many of you protect your hair whilst on holiday? Think about it; the blazing hot sun with its harmful UV rays, and swims in the sea/pool (meaning plenty of salt water and/or chlorine penetrating into your hair, causing further damage and making the UV damage even worse) both working with each other to damage those precious strands. Even in this country, hair can be prone to UV damage – and let’s face it, we don’t get much sun to start with, so it just goes to show how easily the damage can occur. Now, I don’t know about you but my hair is pretty important to me. It’s a big part of how I express myself and how I present myself to the world and I like to do my best to keep it looking as good as possible - even it might not always look that way but that’s a whole other story. Wear a hat and try to stay in the shade; wearing a hat not only protects your hair, it also protects your scalp which can be prone to burning which could lead to skin cancer (as you will already know)... and staying in the shade should keep your hair (and skin) a little bit more protected from the harmful rays. Use a sun protection product: These can come in cream, spray or even serum formulas that you basically apply to your hair, much like any of your usual styling products and are left in throughout the day. The best way to use these products is before and after you’ve been swimming, and then with regular applications throughout the day (even if not swimming) – just like you might use sun cream, really. 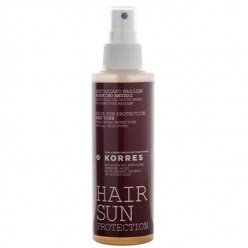 Whilst on holiday, I used Korres Red Vine Sun Protection Spray (around £10) throughout the whole stay – sorry I don’t have a real photograph of it, I did take one but some of my photographs were corrupt when I got home, including this one and as I used it all up, I didn't bring back the empty bottle. It smells lovely, was easy to use (spray formula) and I think really did help to protect my locks! The photograph below shows my hair after my holiday and as you can see, it’s actually not in bad condition – considering I was in Egypt where it is incredibly hot, and spent most of the day, every day in the pool (and going down the water slides *ahem*). What do you think? It has faded, there’s no doubt about that but I really do think that the fading would have been much, much worse had I not been using a hair protection spray. I also came back with hair that didn’t resemble straw which is always a bonus. BC Bonacure Sun Protect Hair & Body Shampoo (approx £9.30 for 250ml) which says it will cleanse hair to limit sun, salt and pollution damage (so could be great if you live in a city too) and sooth sun stressed hair and scalps. 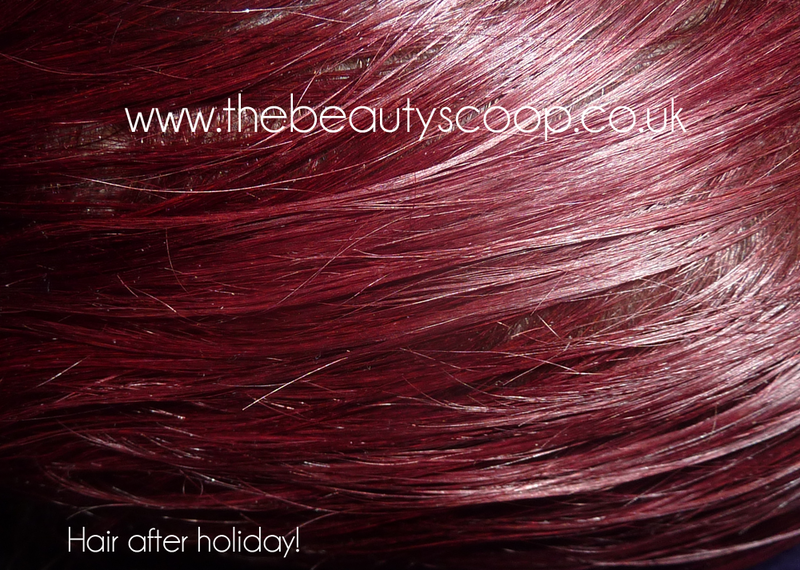 You can use this before and after sun exposure, depending on how often you like to wash your hair on holiday. Personally my hair gets too dry if I wash it too much so I wash after I’ve come in from the pool, just before I go out for the evening but everybody has their own routine. 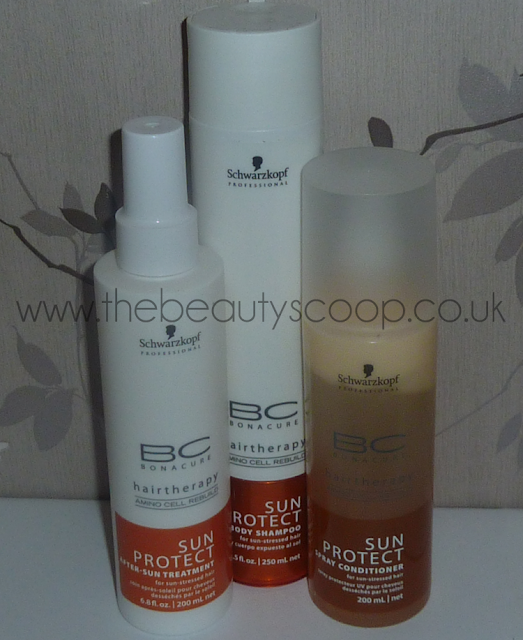 BC Bonacure Sun Protect Spray Conditioner (£10.45 for 200ml) – This is a 2 phase protection spray that will protect hair against UV rays whilst minimising damage from other environmental factors. I personally would use this throughout the day as and when necessary, but also as a leave in conditioner after washing in the evening! This smells lovely and is not at all oily either on the skin or in the hair. 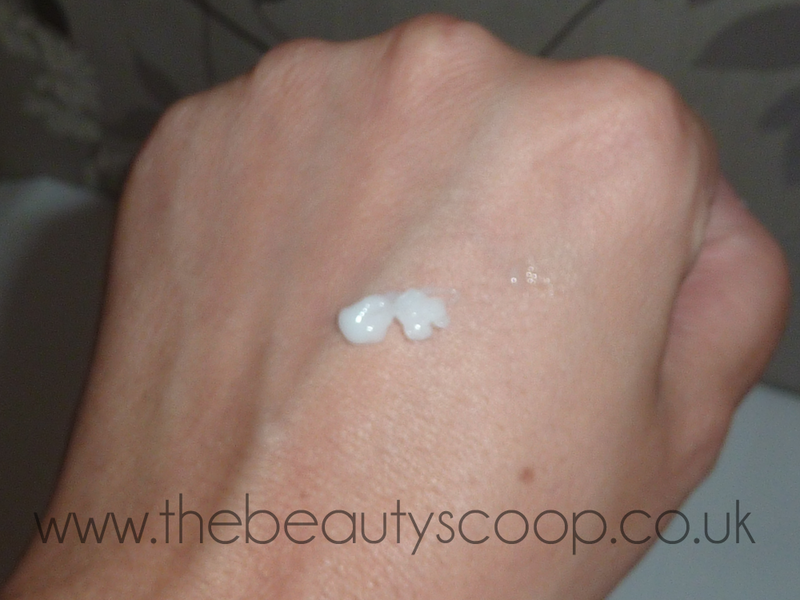 'Foam' spray is more creamy than foamy! 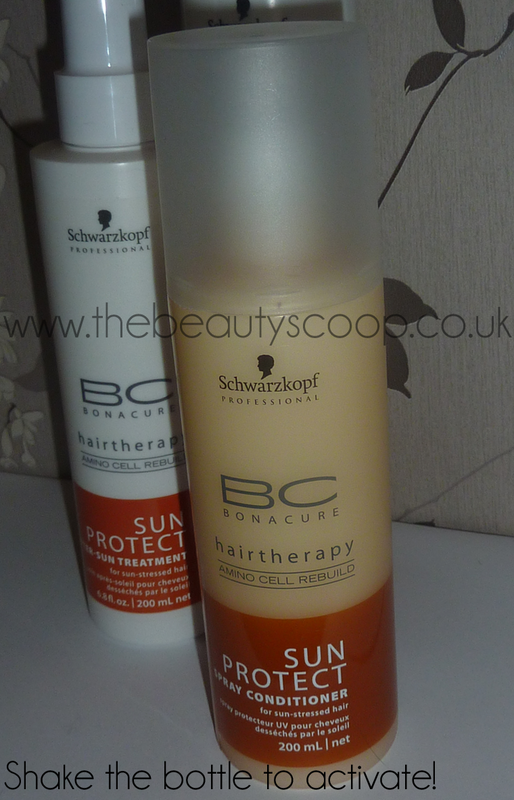 BC Bonacure Sun Protect After-Sun Treatment (£11.80 for 200ml) – This is a more intensive treatment that you can use to nourish, repair and smooth your hair after sun exposure. It’s a rinse out product that comes as a 'foam' spray although I don't find it to be very foamy. I haven’t been using this all the time, just once a week as a treat for my hair and is of a lovely, creamy consistency (it also smells divine, much like the rest of the range)! I only received these AFTER I came back from my jollies so I haven’t had the chance to put them through rigorous testing, since the weather has been so... well crap here too. What I will say though is that when I have used the range, my hair felt super clean, soft and healthy and for that reason I have no hesitation in recommending the range to you, even if you’re not going on holiday, as hair needs care wherever you are! PR Samples, Views are my own! Celeb Sunday - Zara Phillips! 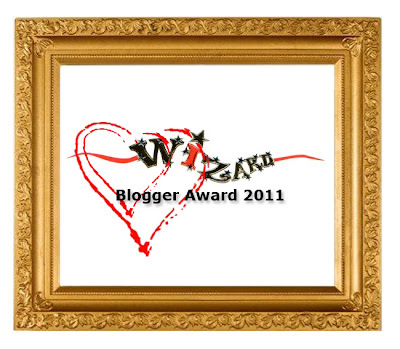 Shock News of the Week - Wizard Blogger Award!! MAC Summer 2011 'Surf Baby' Lipstick - Hibiscus! 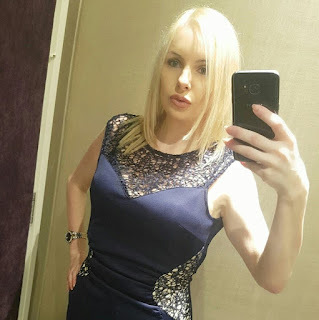 Psoriasis, Kim Kardashian, and Me! (Almost) Wordless Wednesday - RIP Amy Winehouse! OPI Holiday 2011 - The Muppets Collection! Celeb Sunday - Katy Perry! Jonathan Ward London - Santissima Amalfi Candle! (Almost) Wordless Wednesday - Emma Watson! Celeb Sunday - Christie Brinkley! Haul - China Glaze Nail Polish! ORLY Pin Up Collection - Coquette Cutie! Violent Lips - Tattoo, or not Tattoo? (Almost) Wordless Wednesday - Blake Lively! MAC & Chanel Mini Haul! A Lovely Liz Earl Offer! Estee Lauder Double Wear Foundation! Deborah Lippmann 'Fall 2011' Preview! (Almost) Wordless Wednesday - Beyonce! Philosophy, Amazing Grace Firming Body Lotion! The Botox Diaries - Days 1 to 4! Celeb Sunday - Two Weddings and a Hair'do! Beauty Blog Link Love - July 3rd 2011! Wahanda Beauty Event - Highlights (Mammoth Post)! Two London & One Manchester Groupon Beauty Deals! Liz Earle QVC Today's Special Value - Now Live!